Prabal Gurung is collaborating with MAC Cosmetics for an upcoming holiday collection. The 14 piece art deco inspired line is set to hit stores on November 26th. Based on the bold runway beauty looks from Prabal’s Spring 2014 show, the price will range from $20 to $70! 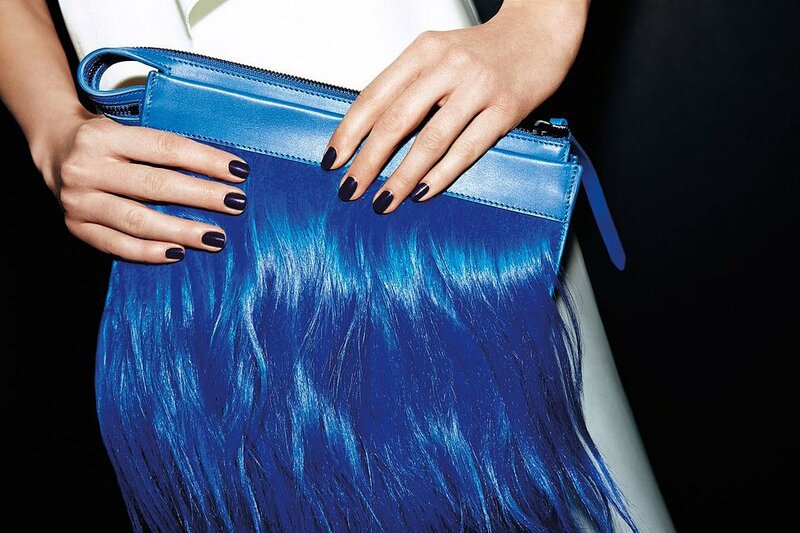 NARS Cosmetics introduces an exciting nail collaboration with fashion designer Phillip Lim. The 3.1. Phillip Lim for NARS Nail Collection includes nine limited edition nail shades. Available on July 15th at NARS Boutiques and narscosmetics.com; August 1st at Sephora and department stores. Are you excited about this collection? Will you be picking up any polishes when they become available? Lupita Nyong’o first Lancome Ad Revealed. She is gorgeous! For the 25th anniversary MAC celebrates everyone’s favorite animated family, The Simpsons, with a vivacious color collection. The collection is set to release in full on August 28th online and in stores on September 4th! Are you interested in purchasing any cosmetics from this upcoming collection? Kerry Washington & Lyn Paolo to Launch Scandal Collection at Limited Stores! ”The collection is a nod to our fans of fashion and to women everywhere who are inspired to boldly pursue their passions and look good while doing it.”–Kerry Washington Prices for this collection will start at $49.00 and gladiators will be able to shop the line in late September in The Limited stores nationwide and online. What do you think of Rihanna’s cover For Harper’s Bazaar Arabia? Love it or not? Willow Smith For Teen Vogue August 2014! In this issue Willow discusses, turning down the leading role in “Annie,” her music and fashion style. What do you think of Willow’s photos? Love them? Nicole Richie by Justin Coit for ELLE Australia July 2014! Thoughts, on Nicole’s cover? Do you love it?